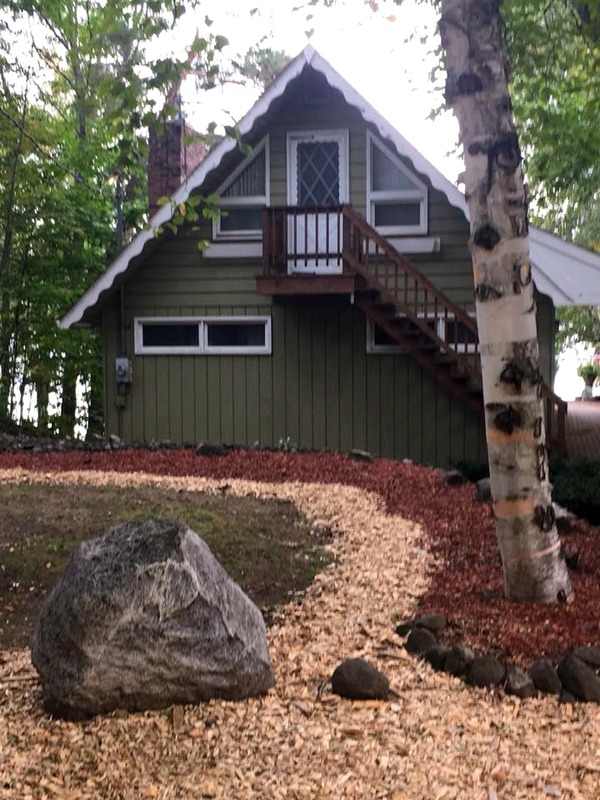 This charming cottage on the inland Huffman Lake is perfect for a family looking for the classic cottage experience in the Lower Peninsula of Michigan. 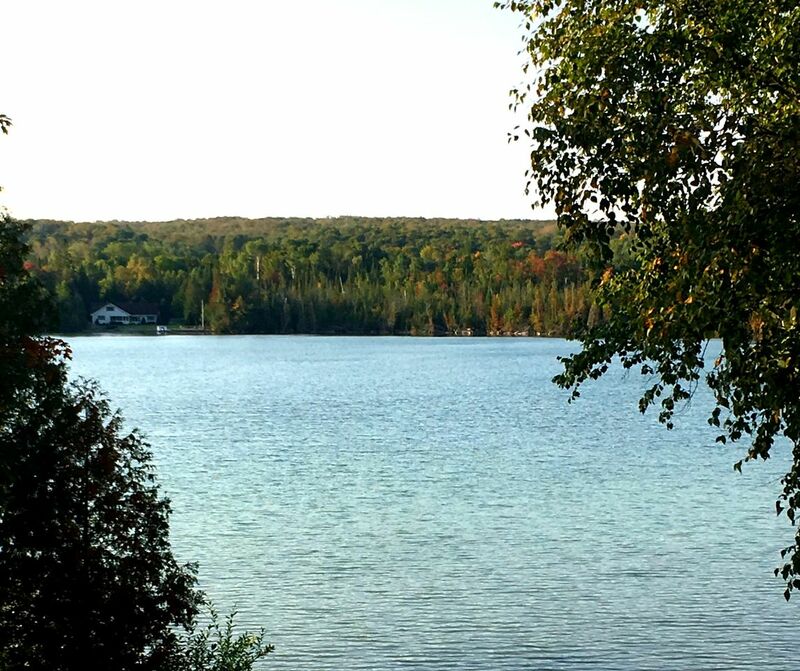 Located halfway between Gaylord and Boyne Mountain, enjoy 75 feet of lakefront with a tiny sandy area on Huffman Lake. Don't worry, we also provide beach chairs. 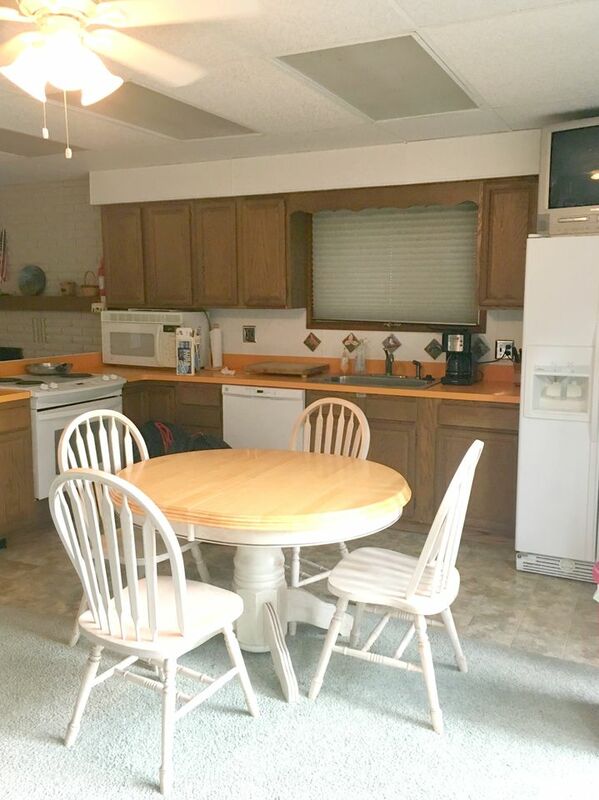 This cottage has an open- concept kitchen and living room, ideal for entertaining. 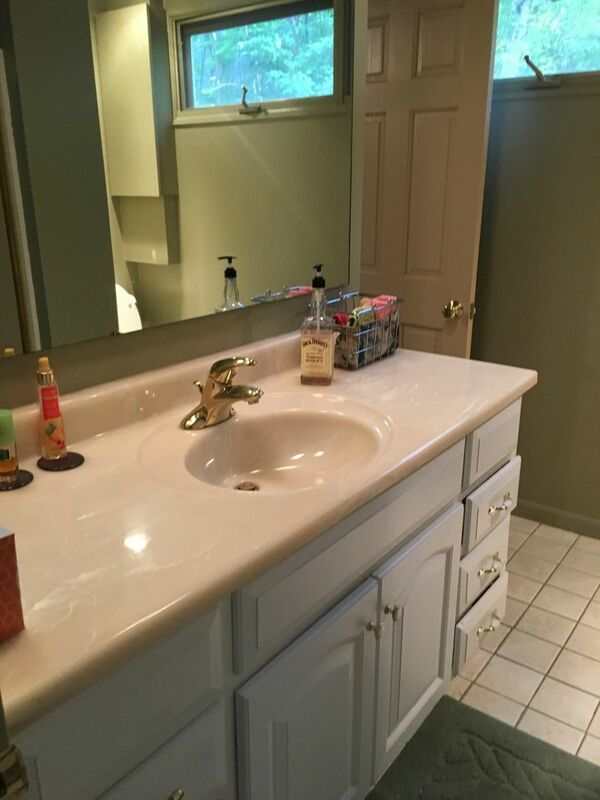 In addition, enjoy the main floor bedroom and bathroom. 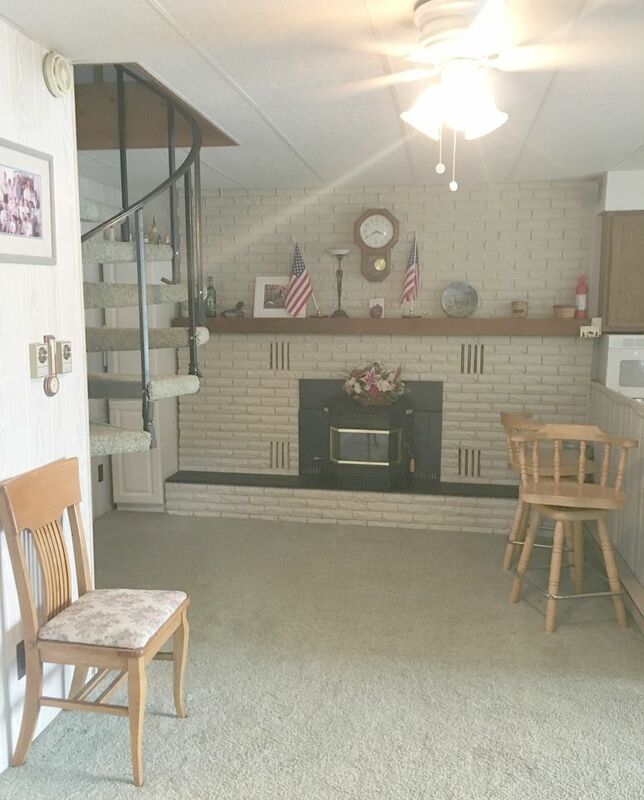 You can get to the upstairs loft bedroom and bathroom either via the lovely spiral staircase inside or the outside standard stairway. 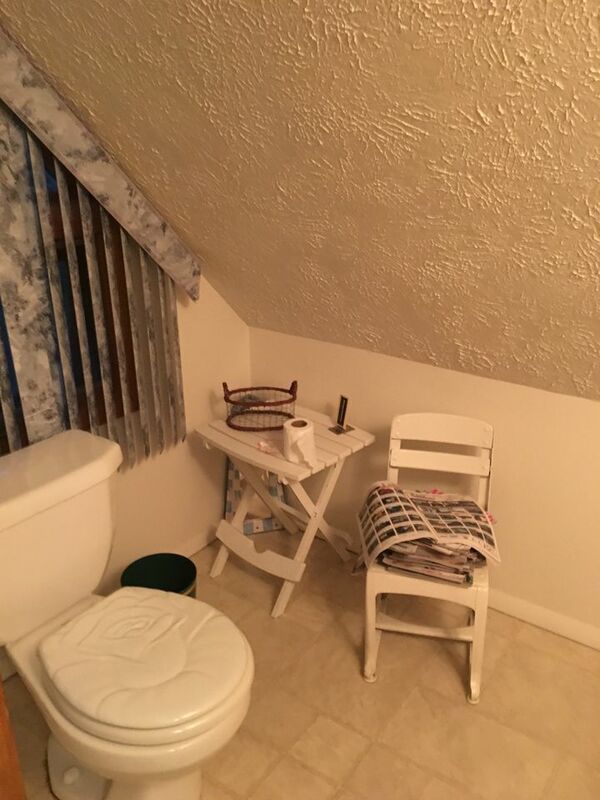 Plus, upstairs hosts its own 1/2 bathroom with a toilet and sink. 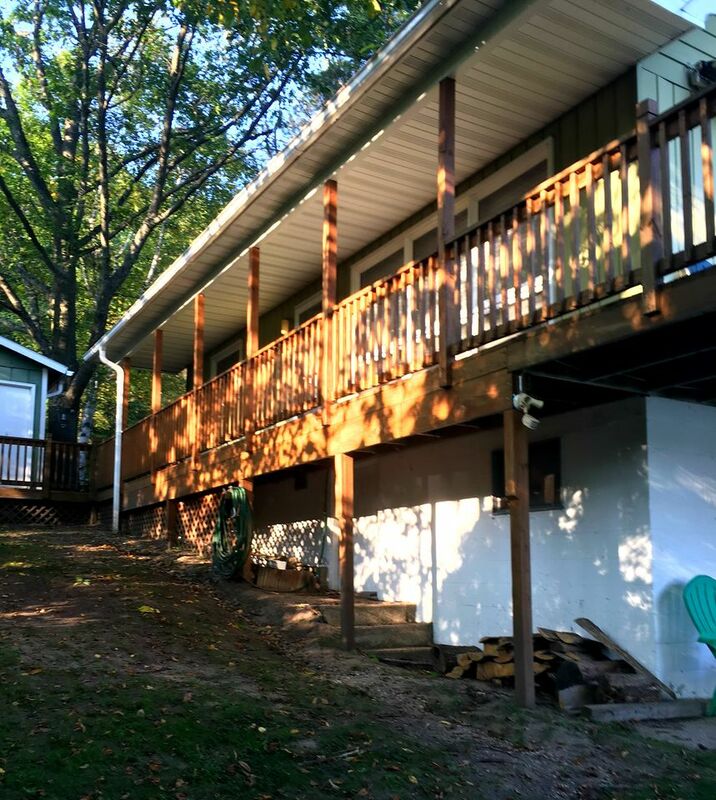 Enjoy the beautiful wrap-around deck, with a spectacular view of Huffman Lake, a beautiful 99 acre peaceful, slow-pace lake. Huffman Lake is an inland lake, so the sand is only on the bottom of the lake. It is murky in some areas and the shoreline is natural. Yes, you may be able to find frogs and the leeches they love to eat, depending on the weather and sand. 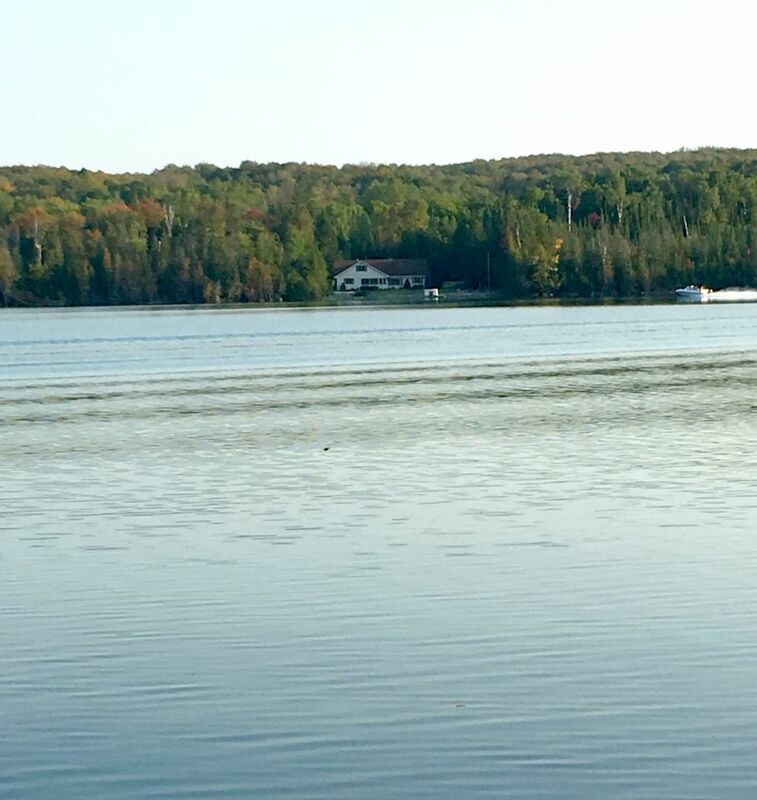 Bass- both large & small, pike, pan fish, walleye are often caught here. 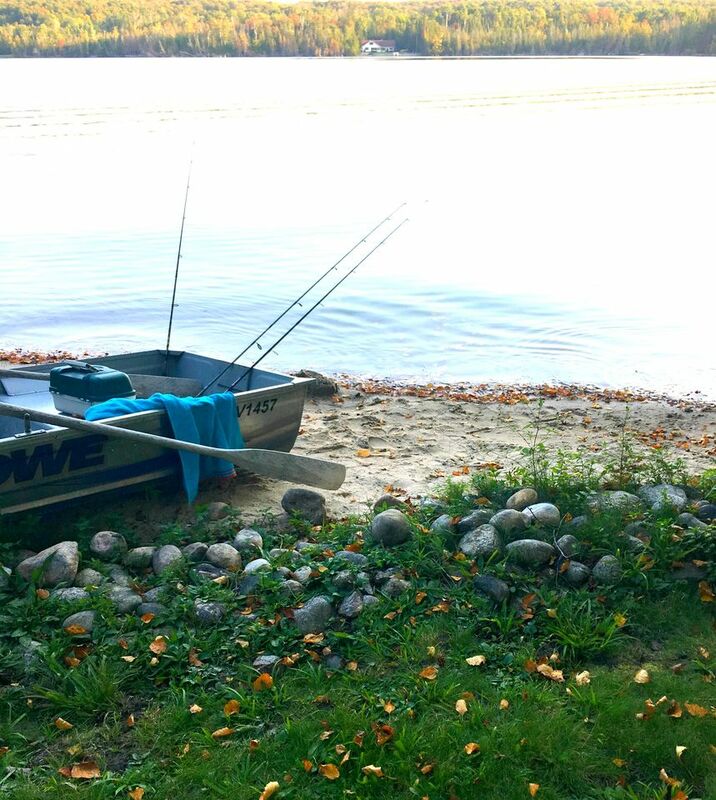 The cottage comes with 1 rowboat for you to enjoy during your stay. Air Conditioning/Heat: There is no air conditioning, there are fans provided and there is a wood burning stove for heat. ATVs: Best to leave those home. Animals: Yes, there are all kinds of animals that like to roam around in Northern Michigan. While you don't see most of them, you have to be someone who is comfortable in that true outdoorsy environment. Guests have reported seeing and hearing, both a mouse and squirrels at times. 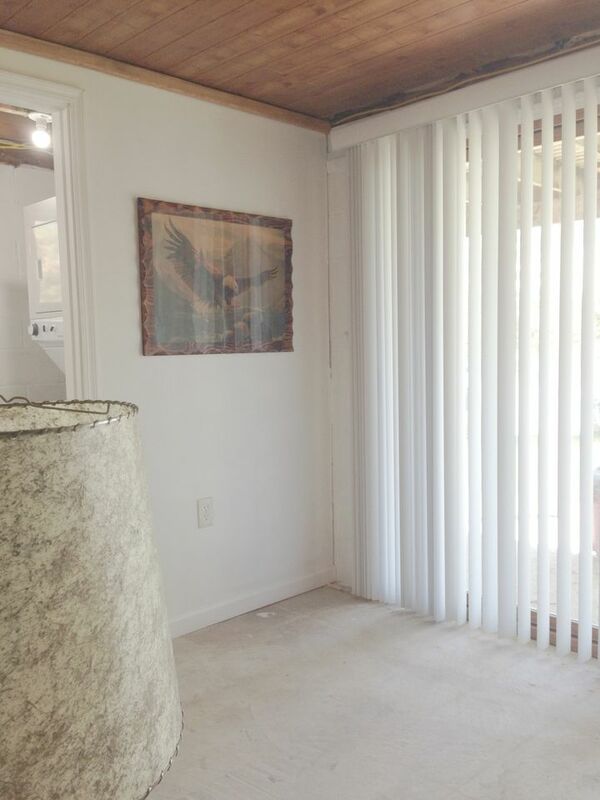 We do our absolute best to keep all the critters away and out of the cabin. We do not use Decon within the cabin due to children being part of our family of guests. Fall is the biggest challenge as the little critters, including mice, are looking for a warm place to stay the winter months. We are vigilant about keeping critters at bay, and are always open to suggestions. 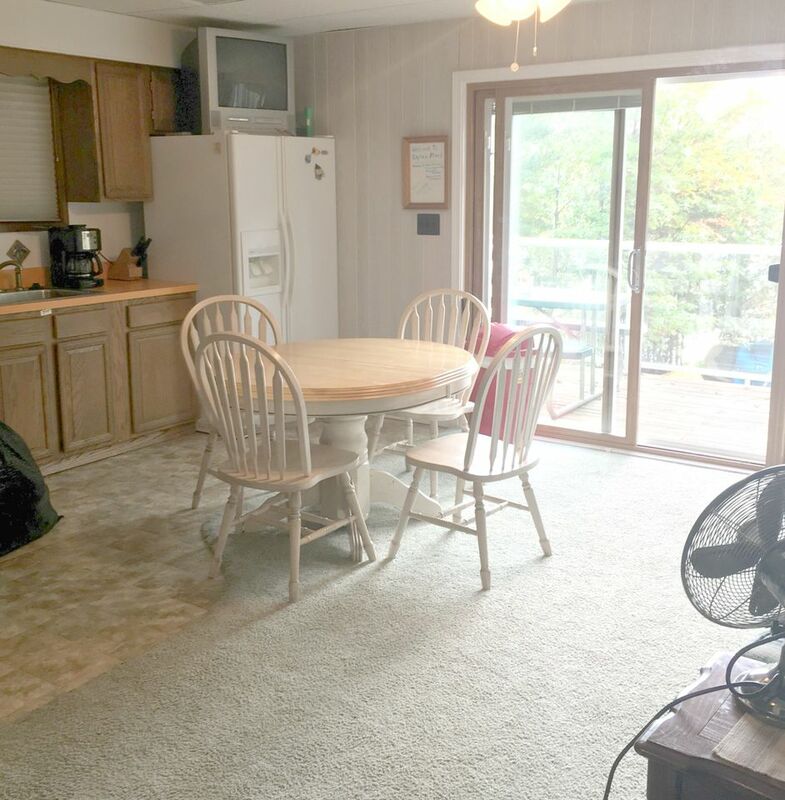 Beach: 75 feet of lakefront with a small sandy area on Hoffman Lake. We also provide beach chairs. The beach area starts off shallow, then progressively drops off about 10-15 feet off the natural shoreline. This is not Disney World. The shoreline natural. There are the standard lakefront bugs, including mosquitos at dusk. 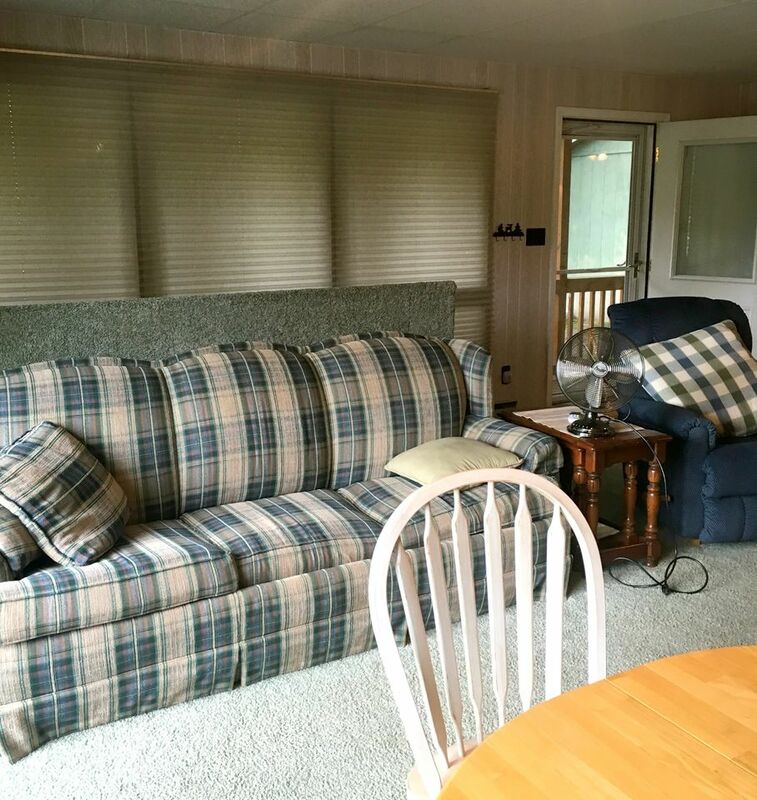 Additional sleeping: There is a pull out couch (Queen) on the main floor as well. Boats: 1 aluminum rowboat for you to enjoy! We do have some life jackets there-but it's always best to bring your own. Books/Board Games/Radio: We have all three of these for your enjoyment and entertainment! Cell phone coverage: To the best of our knowledge, only Verizon customers seem to get connection. AT&T service does not seem to work at all at Captain Fran's. 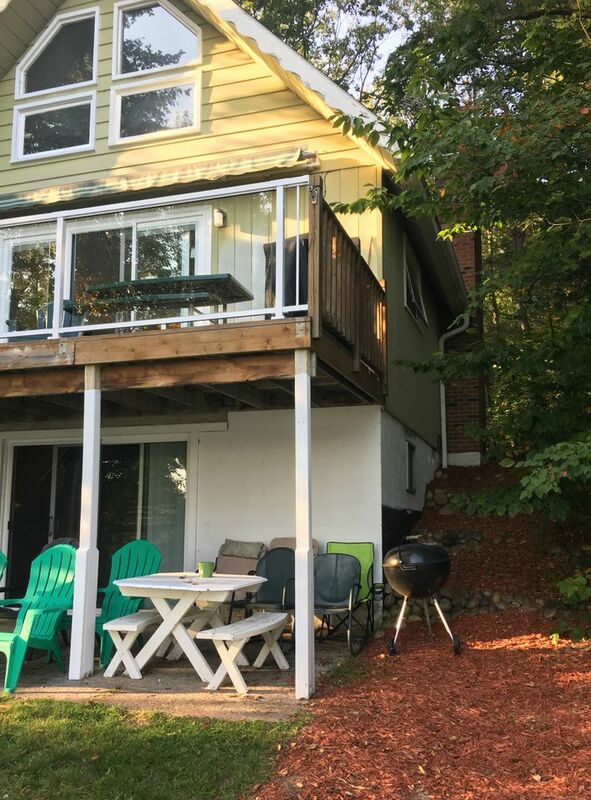 Deck: There is a deck, along with a patio set and beach chairs. Up North Blueberry Farm: U-pick blueberries! 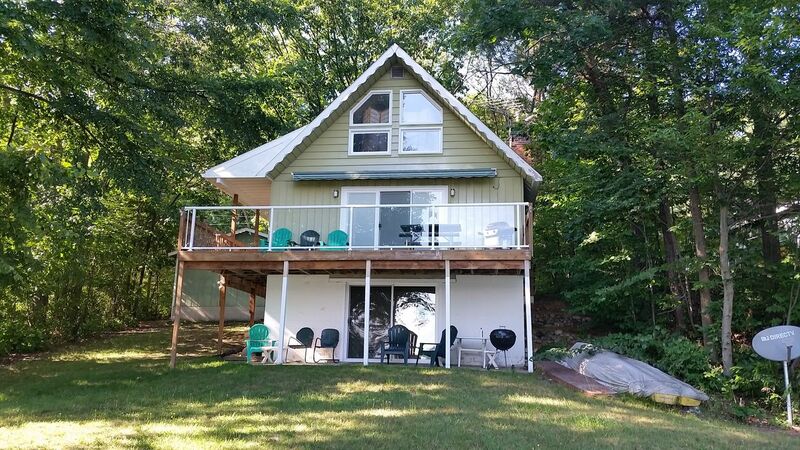 Located in Gaylord, approximately 10 miles from the cottage. Gaylord's City Elk Park: The city of Gaylord maintains an elk herd and provides viewing areas for the public to stop and watch the impressive herd. Under the city's care the roughly 70 elk can be viewed from near the Elk's Lodge off Grandview at Elk View Park.The herd is contained on 108 acres. City staff feed the animals corn, hay and sugar beets, plus vitamins. The herd started with three elk 14 years ago, when a local nature center closed. Currently, a few of the bulls weigh well over 800 pounds and stand roughly 6' tall. The bulls will don their massive horns during the fall and winter, dropping them in the spring. Dock: No dock, just a small beachy area for the row boat to be taken out. Fire pit/Firewood: We have firewood provided at the cottage for your use. There is a fire pit near the water's edge. There are lawn chairs underneath the cottage for you to pull out and use as you'd like around the fire. It's always helpful when the chairs are returned upon use. Thank you! Fishing: Bass- both large & small, pike, pan fish, walleye are often caught here. Minnows, crayfish and frogs are regularly spotted near the shore. Grill: Yes-there is a propane grill. Grocery Store: In Vanderbilt, MI there are options. Landline: There is no landline phone, so we recommend bringing a cell phone. Verizon is the service provider that works best at Captain Fran's. AT&T is virtually nonexistent. Pets: Sorry, we can not accept pets at this time. Septic: Please be advised that the septic system works well with 6 people or less at the cottage. If you have guests, you will need to be extra conservative with the septic, this rural system can get clogged with more than 6 people using it regularly. Please be conservative. Swimming: The swimming has been reported to be very good at the cottage. 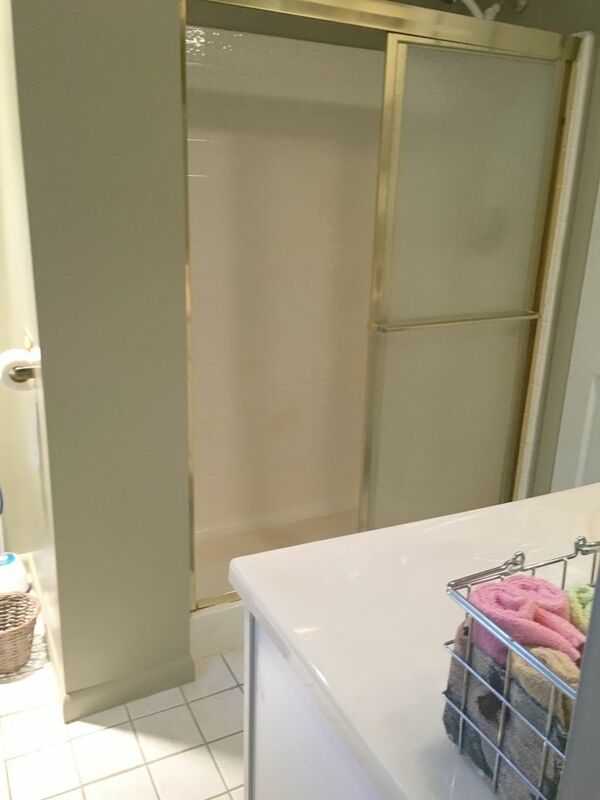 Towels/Linens: Yes, basic linens and towels are provided. Please bring your own beach towels. TV/standard DVD player: We have Direct TV. 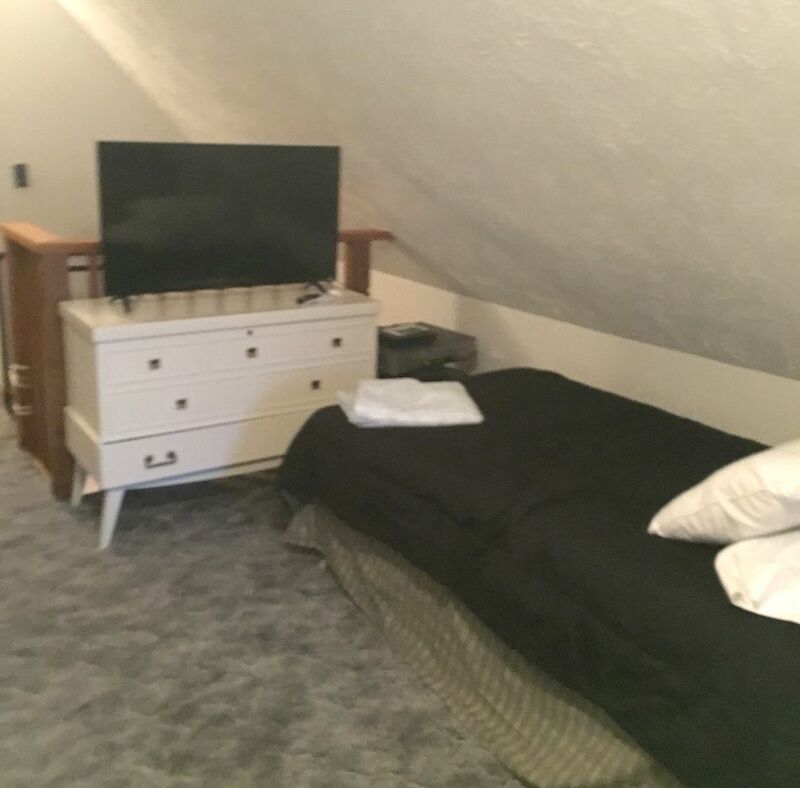 There is a TV with a standard DVD player and a VHS player for you to use in the living room. Also, there is another TV upstairs that will play DVD's and has two local channels. 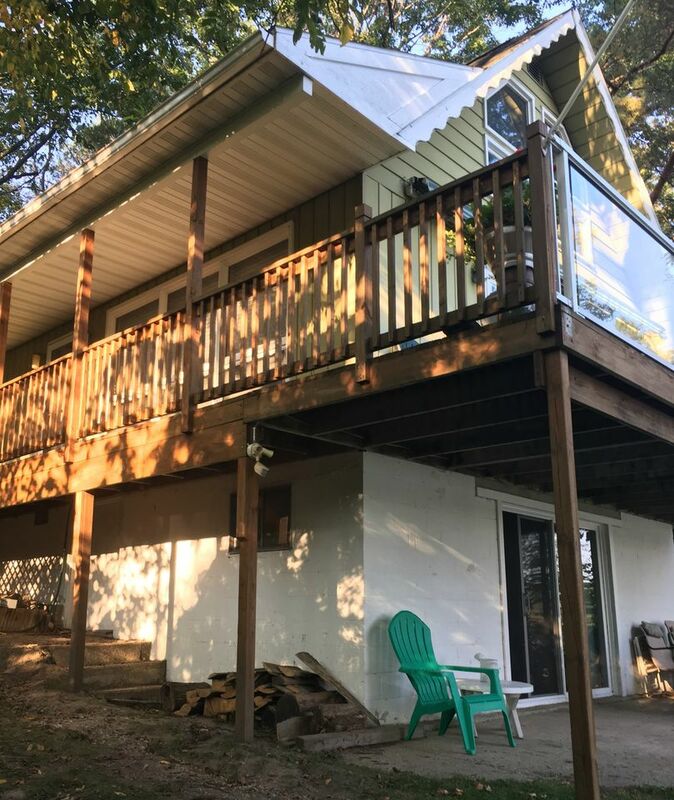 Angel, we are so glad that you had a great time at Captain Fran's, and we'd love to see you come back again so that you can sit on the deck overlooking the water! Exactly as advertised. Comfortable. Lake had decent fishing. Deck is wonderful. Just a great place to chill for a week. Remote enough so you feel away from it all, but close enough to Gaylord or Petoskey if you need supplies or want to hit the Big Lake. We had a lot of fun! David, we're hoping that you caught a lot of fish! 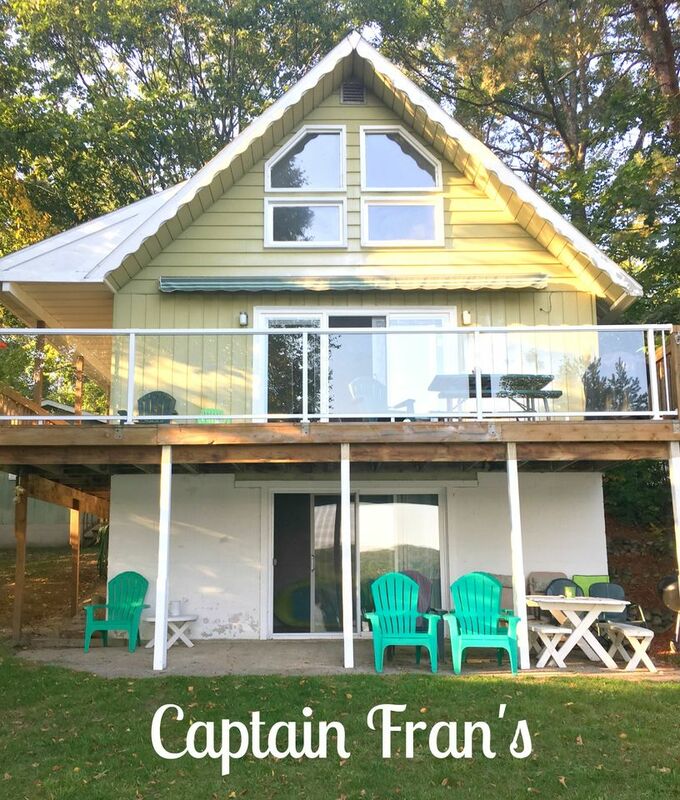 Captain Fran's deck is the perfect spot to relax on. We hope to see you again! Isn't Captain Fran's the best! So glad that you enjoyed your time there. 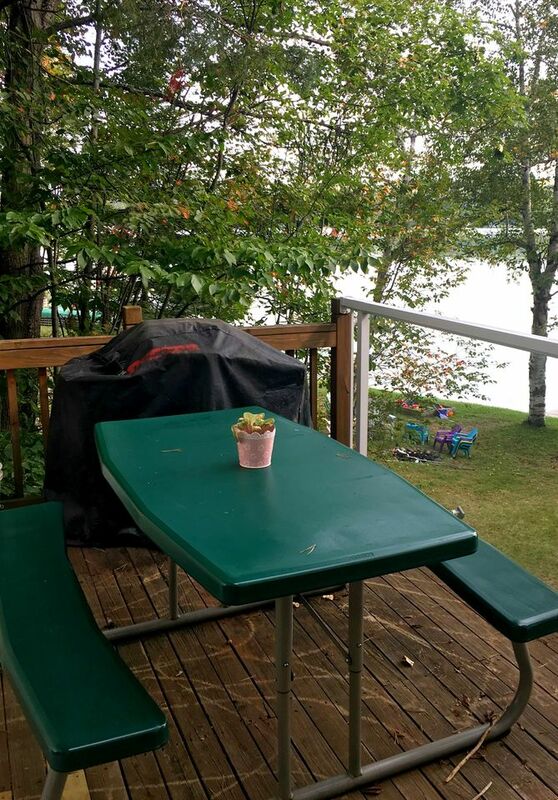 We love the deck especially, and looking out over that lake is certainly soothing to the soul. Thanks for the info about getting a fan - we'll make that happen. It was kind of you to leave the citronella for the next guest - thank you for that. We had a great time! Plenty to do at the cabin, but, still close enough to hiking trails, Petosky and Mackinaw to get out and explore! We will definitely be back next year! ★ ★ ★ ★ ★ Had a great time! We had plenty to do at the cabin and we were close enough to hiking trails, big water, Petosky and Mackinaw to get out and explore! We will definitely be back next year! YEAH! COOL! We are happy your family enjoyed their vacation. Lots of things to do in that area, we agree! Make sure you contact us for your 2018 dates. We are already starting to book for a few of the properties. We will lock you in. Give us a ring! As we were driving up the road, I got a little bit nervous that it might not be everything it was cracked up to be. But when we got there and opened the front door I got this huge feeling of relief and excitement. 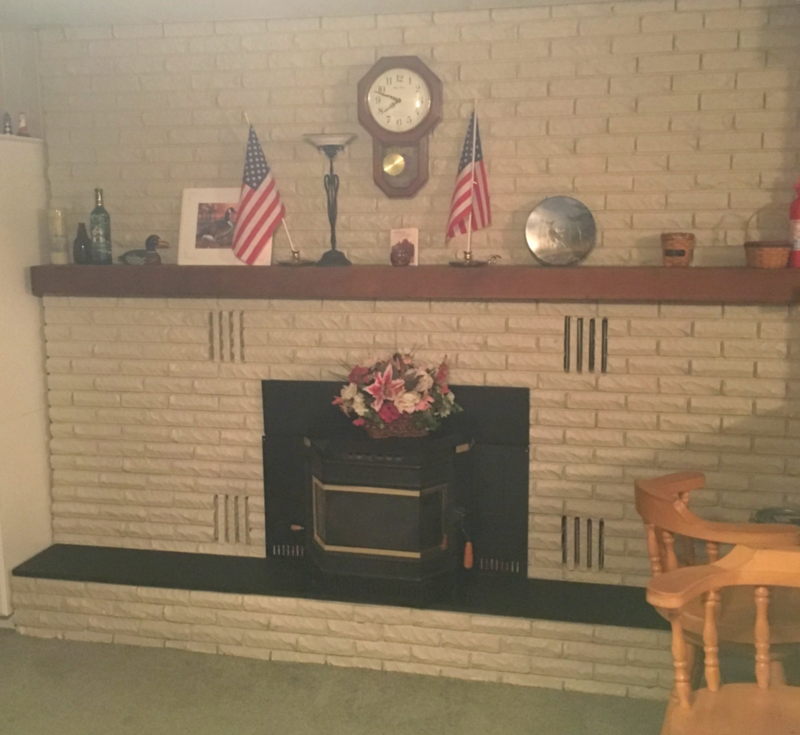 It was everything we had hoped for and more - and then we went upstairs. 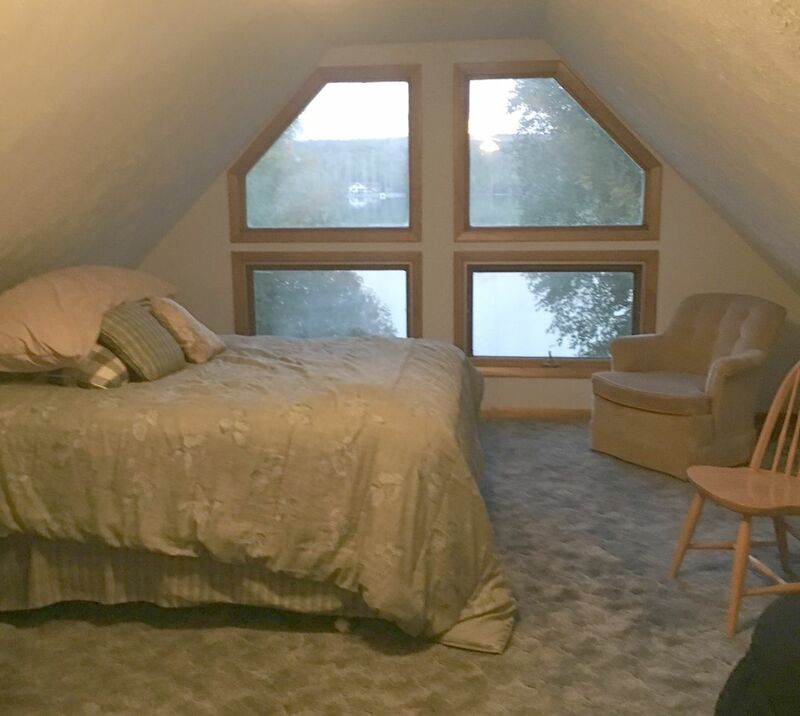 My wife and I shared the upstairs room, which, though it didn't have curtains, had a pretty awesome view, and there wasn't really a good vantage point for spying. The beach was pretty small (not sure where 75' is coming from; it was more like 15 or 20, which you can see in the picture). We didn't notice any pointy rocks very far out; it's mostly squishy, and it stay shallow for a good ways out - it was probably at least 100 feet out before I couldn't stand. We also enjoyed using the boats and the fire pit, and if you absolutely have to go to a big beach, Petosky is about 45 minutes away and it's pretty beautiful too. 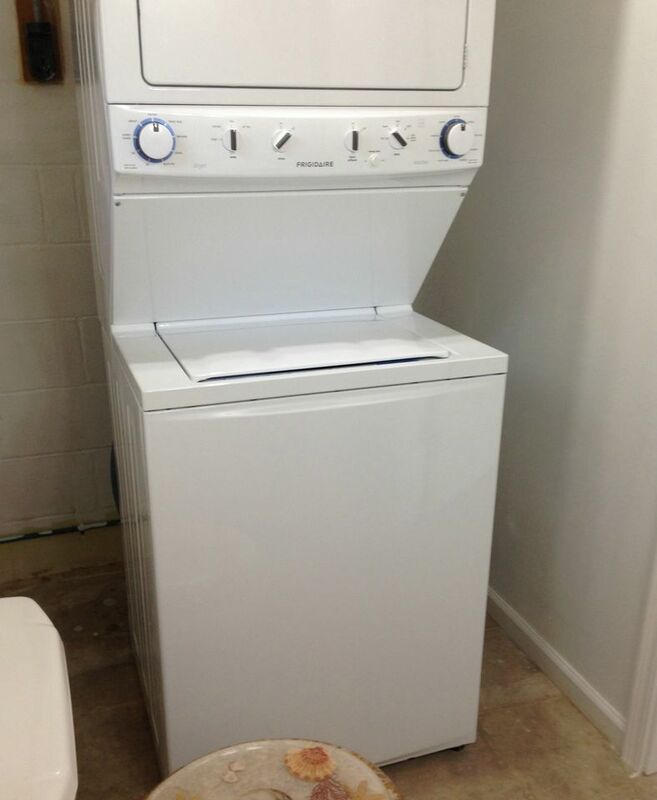 There were a few maintenance issues that came up (lights, hot water heater), but when we emailed Freshwater (no cell signals on T-Mobile towers there), the owners came out and dealt with them the same day. -The maintenance guy is really friendly, too. -The Verizon Mifi that is included isn't especially fast (we put it upstairs), but it *is* unlimited data. We didn't pick the best week because it was chilly, but I was in the water every day anyway (I was the only one). On Monday we were able to go swimming a lot. On Friday night I ran into one big problem: it was almost time to leave. I would come here again. And again, and again, and again, to be honest. Our friends and my wife and I all agreed that our stay was awesome. One member of the family this cabin belongs to owns a Sea-Do and I really wanted to take it for a ride, but it's not available, so we just sat there drooling at it sometimes. WE ARE SO THRILLED YOU ENJOYED YOUR STAY! Thank you for your positive comments. We pride ourselves on customer service, so that was great to hear. Please let us know your 2018 dates so we can reserve! 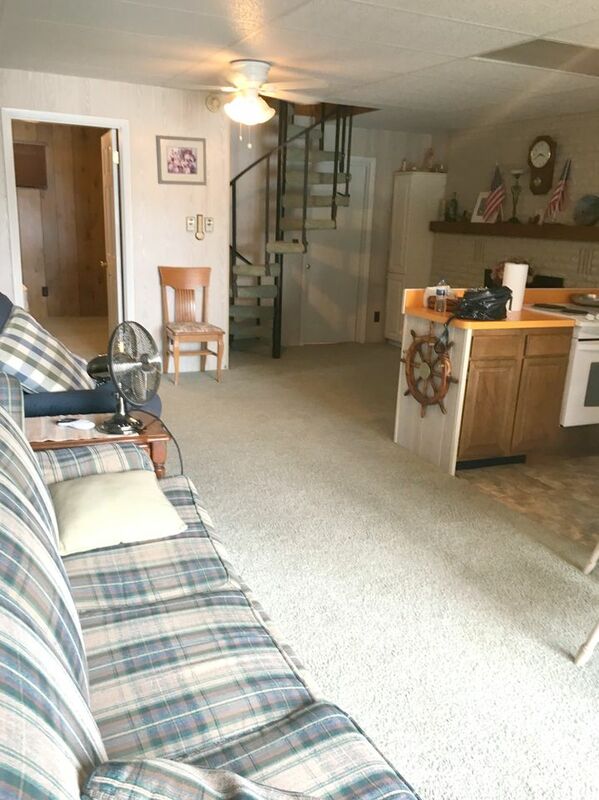 If you're looking for a quiet lake house with beautiful views Captain Frans is for you. 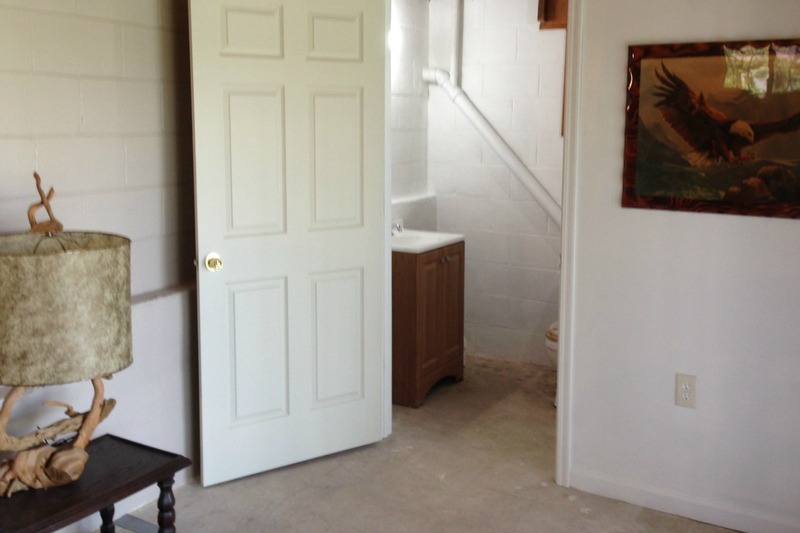 The house was clean, quaint, and provided all the necessary amenities to make you comfortable. The morning view from the deck had me enjoying coffee with a beautiful view and an unexpected friend, a chipmunk. We caught a few pan fish from the row boat, and my son enjoyed the paddle boat. We would recommend this house to anyone wanting to escape the city. Good fishing! Alright! We are glad you enjoyed your stay! Our stay at Captain Fran's was nice, although the weather could have been better. We enjoyed the cottage and it is in a good location to see other NW Michigan communities. We were a little disappointed in Huffman Lake though. The "Sandy Beach" was true to a point, but once you walked out into the water, the sand bottom was muck. 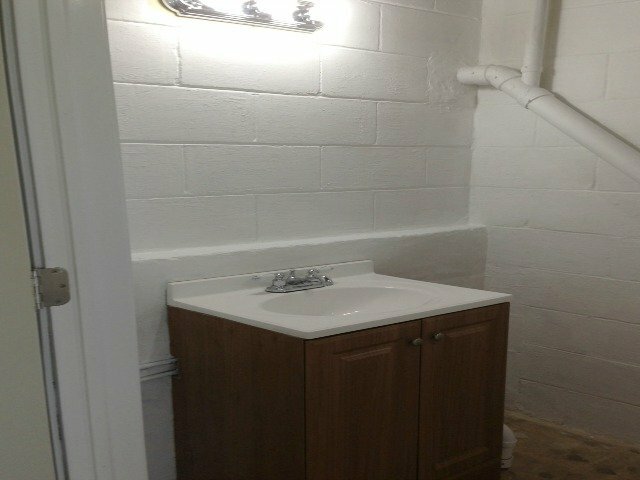 Not as pleasant as sand to walk (sink). Also, there is not much "structure" on the lake for fishing. We caught pike, bass and small panfish, but really had to find them. Overall we enjoyed our stay. 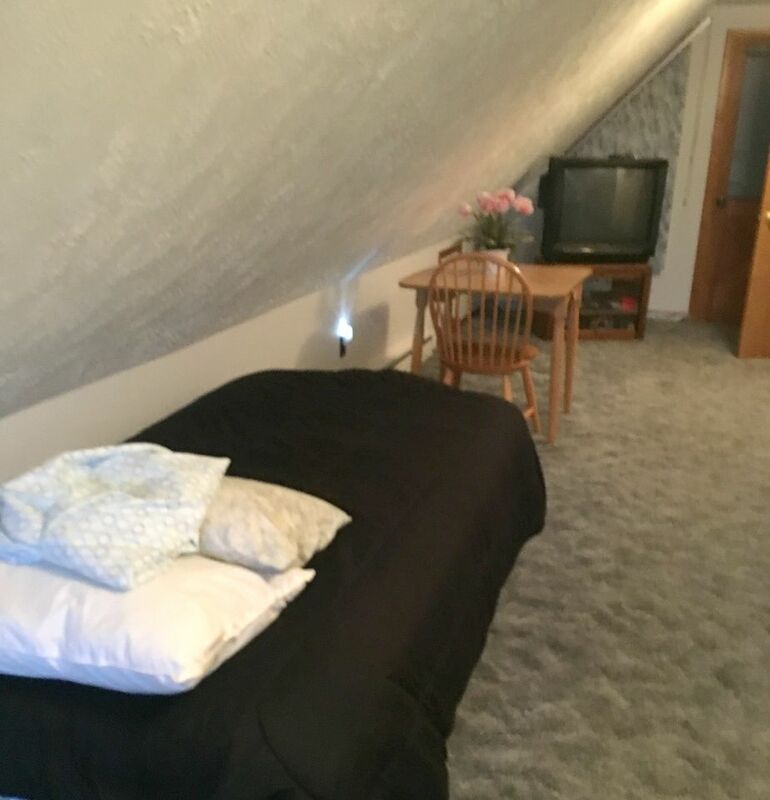 This is a nice quiet and comfortable cottage. (Just need to make sure the directions to the cottage include the one turn). Thanks! We are happy you enjoyed your stay. We will modify our description to reflect the beach. Depending on the weather for the year, it sometimes gets mucky. We will change it regardless. We will also modify the directions! Thank you for your suggestions. We hope to see you in the future! We enjoyed ourselves, it was a beautiful place and view, only thing that was a let down was 2 broken paddle boat, otherwise we had a great time. We are happy you enjoyed yourselves despite the paddle boats. Maintenance is on that as I write! Please be sure to check out our 54 other properties throughout Michigan for your next adventure! When we arrived it was beautiful! House was clean and the lake was gorgeous. Very quiet, peaceful atmosphere. They left a lot of spices and other things for us to use, very helpful things we forgot! We had a few issues with the wifi, but all in all, if we need a vacation again we will DEFINITELY come back!!! !